VersiGrid™, How to get a Price Quote, where to purchase. 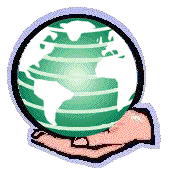 ECO-TERR Distributing Inc. is a Distributor/Manufacturer Support in North America. We provide information about these products, and we provide Sales Support. The pricing information below is provided to allow our customers to estimate the product cost for their project. So be sure and give us your delivery address in the contact form below so we can get you a total cost including shipping. Shipping must must be calculated on a per-order basis. There is no "flat rate shipping" on these types of bulk/palletized building materials. (2) Look up your price: Determine the Volume Price Break, for the quantity you require. Locate a retailer, dealer, or installer now. Review the ECO-TERR return policies and procedures. Returns and refunds: We want our customers to be happy. If something is not right, please call or e-mail us. We will exchange it or refund your full purchase price for you within 30 days of receipt. For your protection all returns must be accompanied by a Return Authorization. This will ensure that the returned product will be credited to you. Return Authorizations: All merchandise must be returned to us in unused condition in the original packaging with all tags intact prior to exchange or refund. ECO-TERR will pay the return shipping for any errors we might make in filling your order. If you ordered the wrong product, and are able to return it in new condition stated above, you may return it (with prior Return Authorization) for a full refund of the Purchase Price. We do not share your personal information with anybody outside our company without your permission. Info Request FeedBack Form below. Fields highlighted in * Bold Maroon * are required, please. * What phase is your project, currently? What is the project's leadtime, or when will you require the products? * What type of project/structure are you building? If this is an existing facility, what current issues require correcting? What other information or factors do you deem to be important? If you wish, you may print this page before sending it. Please do not forget to send this information.